Blending 1960s flower power with 1990s kitsch, this big orange blossom is more than just pop art. Each of the four petals is actually a pad of sticky notes, with 260 notes in all; just peel one off whenever you need to post a reminder, a number, a bookmark, or a message. 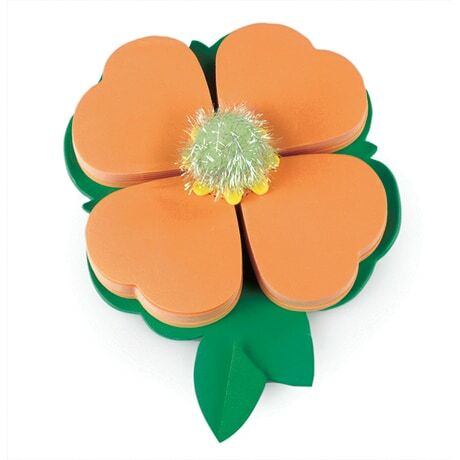 The lighthearted flower magnetically sticks to any steel surface and measures about 5 inches square (not counting the decorative leaf), while the petals themselves are about 2½ inches across.